Dr. Chun is a well-trained dual degree oral and maxillofacial surgeon with extra cosmetic surgical training. He is skilled and uniquely qualified to manage and treat facial trauma, also known as Maxillofacial trauma. He is also on staff at local hospitals and provides emergency room trauma coverage for facial injuries. Injuries to the face, by their very nature, create a high degree of emotional, as well as physical trauma to patients. The science and art of treating this facial trauma requires special training, involving a “hands on” experience as well as an understanding of how the treatment provided will influence the patient’s long-term function and appearance. What causes Oral and Maxillofacial Trauma? Interpersonal violence, and work-related injuries. What types of facial trauma are there? For more information, check out this Cleveland Clinic article about the types of facial trauma. When soft tissue injuries, such as lacerations, occur on the face, we can repair them through suturing. Dr. Chun aims to perform the repair that yields the best cosmetic result possible. He also takes care to inspect for and treat injuries to structures such as facial nerves, salivary glands, and salivary ducts (or outflow channels). Visit this dentalcare.com article for more information about soft tissue trauma. We treat facial bone fractures in a similar manner to the fractures in other parts of the body. However, when you fracture an arm or a leg, you often receive a cast to stabilize the bone to allow for proper healing. Although we cannot place a cast on the face, we use other means to stabilize facial fractures, allowing them to heal. Wiring the jaws together for certain fractures of the upper and/or lower jaw. This method involves the surgical placement of small plates and screws into the bones at the involved site. Certain types of fractures of the jaw are best treated and stabilized by this method. This treatment technique often promotes rapid healing and also sometimes obviates the necessity of having the jaws wired together for a long duration. The development and use of rigid fixation has profoundly improved the recovery period for many patients, allowing them to return to normal function more quickly. The treatment of facial fractures is accomplished in a thorough and also predictable manner. The patient’s facial appearance should be minimally affected by using techniques to access the facial bones through cosmetically placed skin and/or oral mucosal incisions. Furthermore, the fewest and smallest incisions are made, which will allow adequate surgical exposure to complete the fracture reduction. Isolated injuries to teeth are quite common and may also require the expertise of various dental specialists. Oral surgeons are usually involved in treating fractures in the supporting bone or in replanting teeth that have been displaced or knocked out. These types of injuries are treated by one of a number of forms of splinting. Splinting is stabilizing by wiring or bonding teeth together. However, never attempt to wipe or scrub the tooth off. Remnants of the ligament holding the tooth in the jaw are attached and vital to the success of replanting the tooth. Time is of the essence, so the sooner we can re-insert the tooth into the dental socket, usually less than 30-45 minutes, the better chance it will survive. Therefore, see a dentist or oral surgeon as soon as physically possible. To learn more about what to do when you’ve lost a tooth, visit the American Association of Endodontics webpage on the topic. To repair or rebuild fractured teeth. 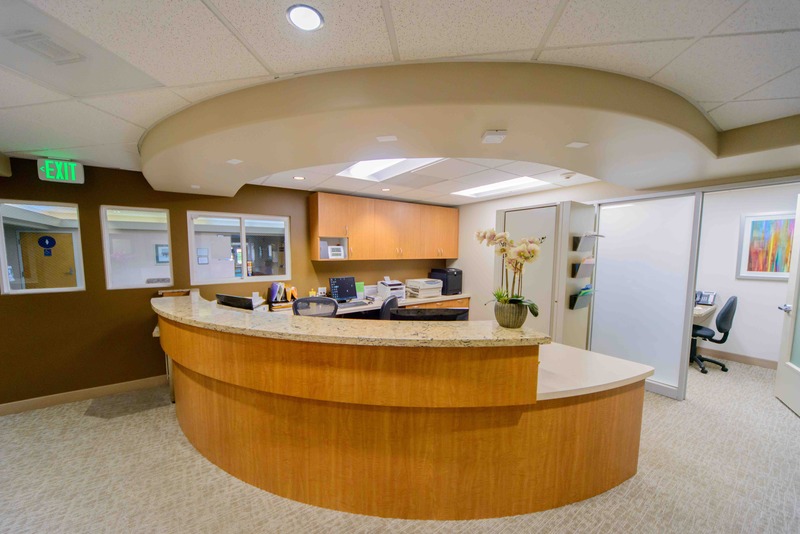 The proper treatment of facial injuries is now in the realm of the oral and maxillofacial surgeons, such as Dr. Chun. He trained in emergency care, acute treatment, long-term reconstruction, and patient rehabilitation for both oral as well as facial injuries.